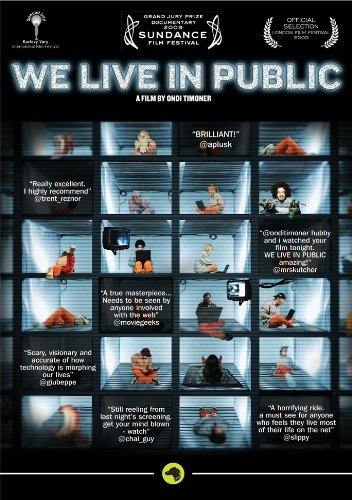 We Live in Public is the story of the internet's revolutionary impact on human interaction as told through the eyes of Internet pioneer and visionary, Josh Harris. Though once considered the godfather of the downtown Internet scene in NYC in the 90s, known far and wide for his outrageous parties, innovations in chat, streaming audio and the creation of the first online television network, Harris is but a footnote in history at this point, all because he took his experiments with the Internet and media consumption too far. Award-winning filmmaker, Ondi Timoner, has been documenting his incredible experiments, and his ups and downs, for over a decade from puppeteer to puppet, from millionaire to broke exile.